Holiday Christmas Vector Tags With Mittens And Bullfinch. Royalty Free Kliparty, Vektory A Ilustrace. Image 47724326. Reklamní fotografie - Holiday Christmas vector tags with mittens and bullfinch. 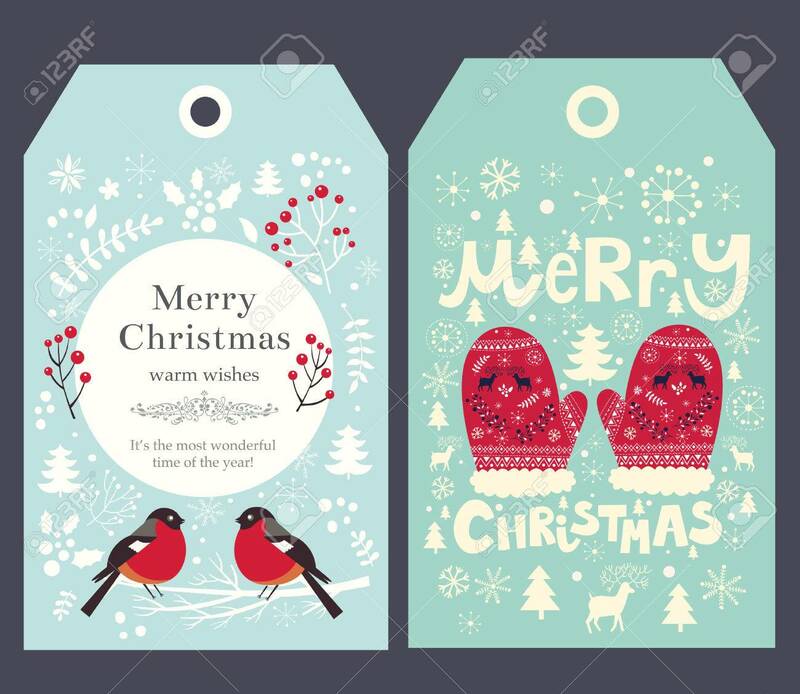 Holiday Christmas vector tags with mittens and bullfinch.